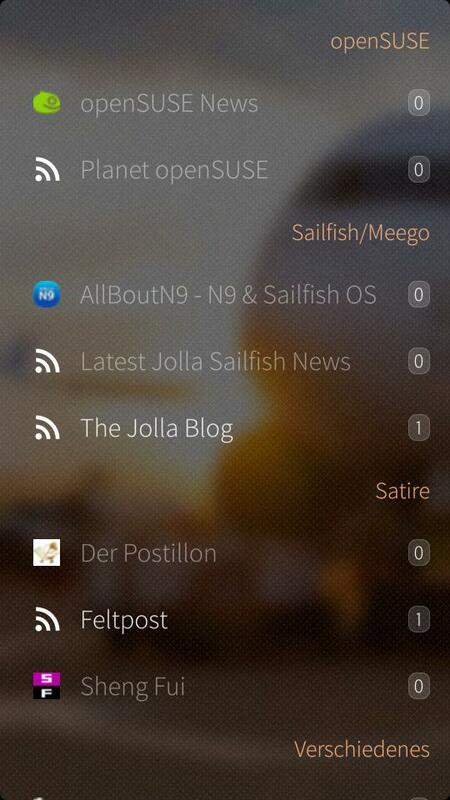 Version 1.9.6 requires Sailfish OS 1.1.9.28 or newer. 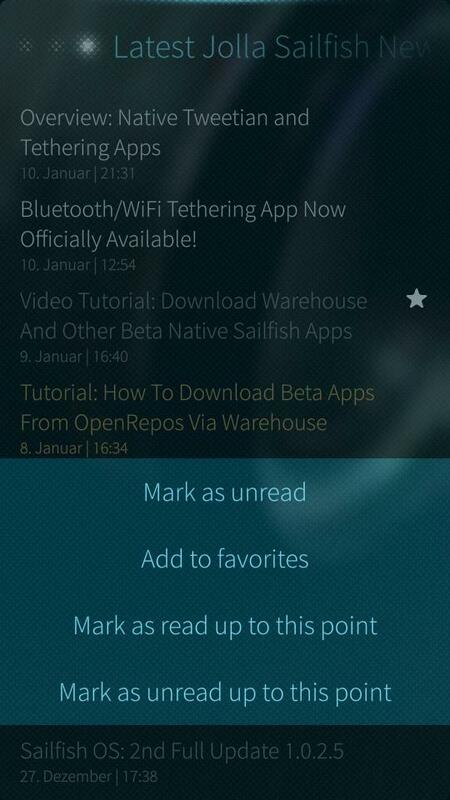 Native SailfishOS client for the ownCloud News App. Synchronizes with your ownCloud server and can also be used offline (at least you can see all local available feed items and data, not the website content itself). 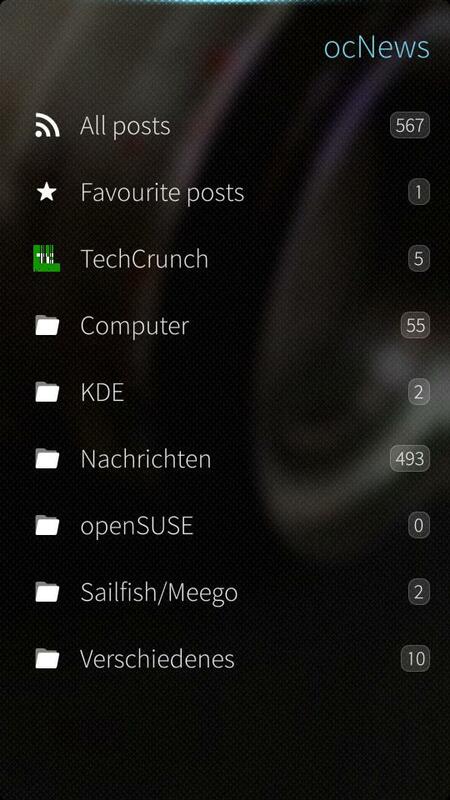 Can manage feeds and folders on the ownCloud server (add, remove, move). 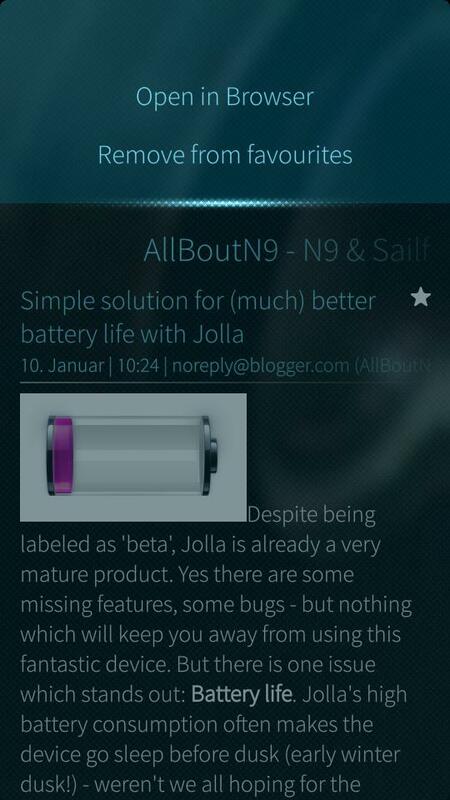 User interface is inspired by the original Nokia N9 Feed Reader. Also I have a bug report for you. I have this https://www.gamingonlinux.com/article_rss.php rss channel and when I try to read currently latest entry "The Wine Development Release 1.7.43 Is Now Available" ocNews crashes. PS. Do you accept bitcoins? thanks for reporting this issue. I will take a look into it tomorrow. If you have a Github account, please report it there too: https://github.com/Buschtrommel/ocNews/issues , but if you don't have an account, you don't have to create one only fort that. And no, I never used bitcoins. :) Till now, only PayPal. Ok, I did a short test and can reproduce the issue. It comes up with "Host requires authentication"
Which version of the ownCloud News app are you using? There seems currently no official version available that supports ownCloud 7. (At least after upgrading my ownCloud instance to version 7, there is no News available in the apps manager). probably just a user-rights issue - i've installed the stable 7 branch package which works aswell (can'T mark as read though). Yes. I set them to the user used by openSUSE systems (wwwrun:www), like the rest of the ownCloud files. Also restarted apache several times. I now changed to the current git version, too. And for me it works, also with ocNews. still no success, has anyone some hints for me? I really miss my ocnews a lot!!! Have you tried a reinstallation of ownCloud? Maybe the problem occured, because you tried to use the installed News app when you upgraded your ownCloud instance. When I upgrade my ownCloud instance, I disabled all 3rd party apps and started then to use the git version. I've even purged and reinstalled the whole thing! If you want, you can create a test account on your ownCloud instance for me and send me the login details to kontakt@buschmann23.de . I will then try to get some more information what happens internally in ocNews connecting to that instance. 1.9 is really awesome!!!! Thank you very much!!! Really love ocnews! cannot be used with latest notesapp on serverside though. tried to reset config data but won't work. but buschtrommel seems to be a transparent and well organized coder. quite sure he'll fix this asap. Thank you for your versioninfo and sourcecode as well! 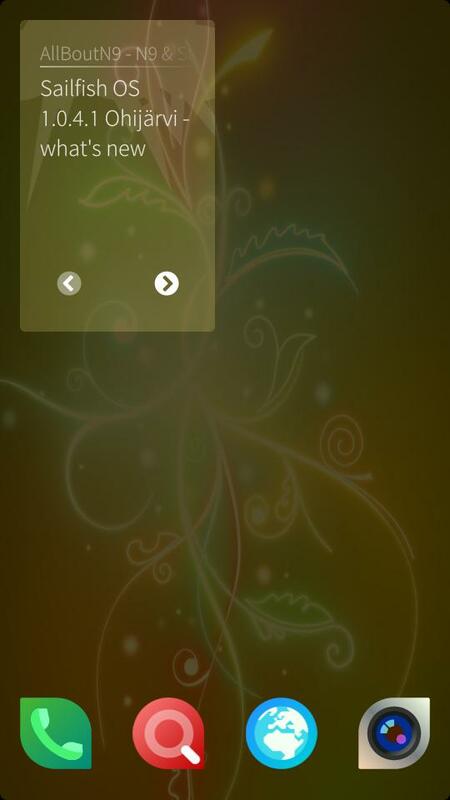 Next version will have a currency chooser there. 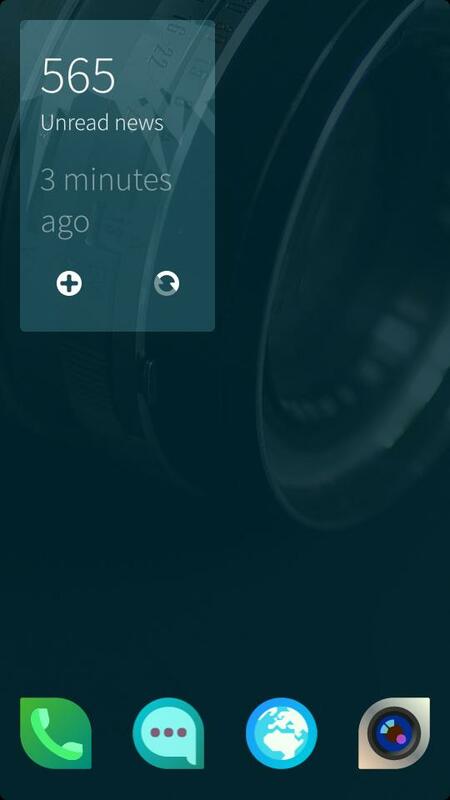 Owncloud news works on serverside. I've installed python-requests as it's mentioned in the dependencies. Yes, I currently don't know what changed. But QNetworkAccessManager does not send the authenticationRequired signal anymore. Thanks for ocnews, really nice to have! Do you think this will arrive at jollas harbour? Harbour does currently not accept apps that have there own D-Bus services. Because of its UI/Daemon structure, ocNews has two executables, what is currently also not possible to have in one single package on Harbour. But it seems you can only upload one package.